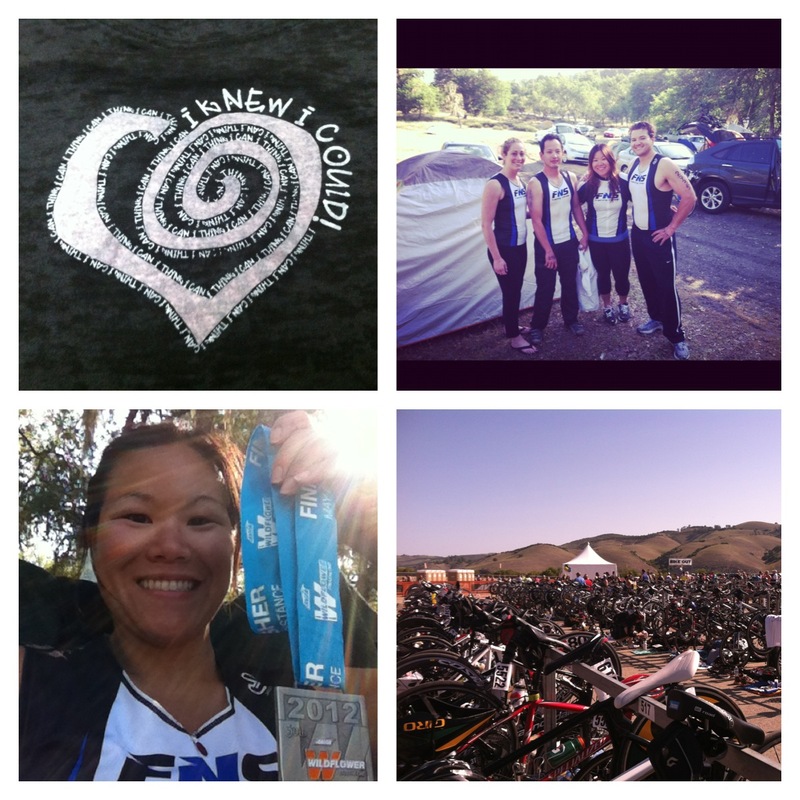 Runs for Cookies: Weight Loss Success: The Biggest Loser's Ada Wong Shares Her Story! 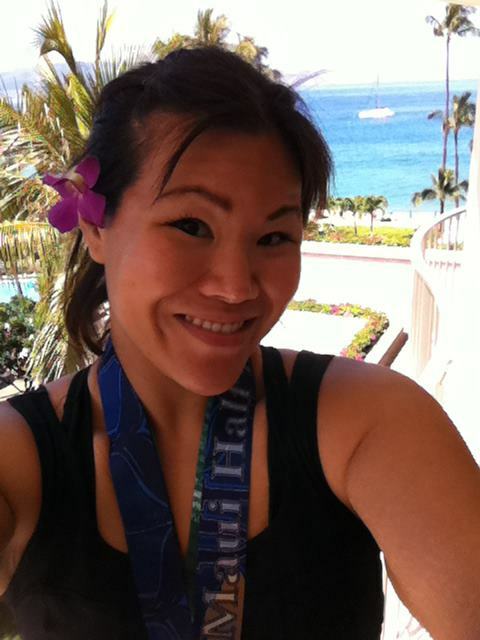 Weight Loss Success: The Biggest Loser's Ada Wong Shares Her Story! The members of TBL had to do a challenge where they went up and down these flights of stairs over and over again to reach a certain number of points. The winner of the challenge would win a brand new car! Ada was killing it, and only had one flight left--she was in the lead and easily could have won it. She stopped at the top and stood there, waiting... in order to let Patrick, another contestant who had two kids and was really in need of a car, finish first and WIN. I don't think I've ever seen someone as genuine as Ada on that show. So I was thrilled when she agreed to join our Ragnar team. 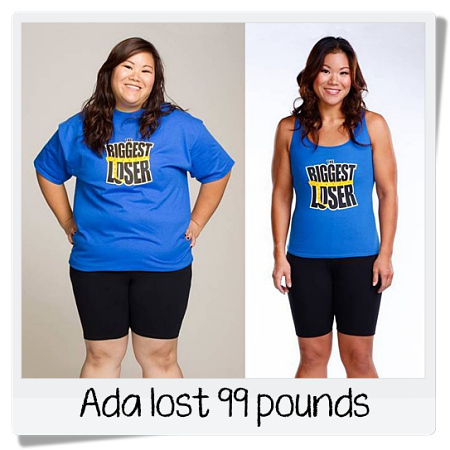 Ada didn't write about The Biggest Loser here, because many of you have seen the show and already know that part of her story. However, I know a lot of you may be curious about what life was like on the show, so Ada said she'd be happy to do a Q&A post with your questions. If you have a question for her, just leave it in the comments on this post, and I'll post the Q&A in the future. No surprise! I’ve struggled with my weight my entire life. In fact, I can’t remember I time I wasn’t on some unsuccessful fad diet or another…Atkins, Lemonade Diet, acupuncture, weird herbs my mom found on a recent trip to her motherland. I grew up surrounded by thin people and stuck out like a sore thumb- which made it THAT much worse. It was clear I wasn’t blessed with a tiny Asian frame or a fast metabolism. Ever notice who wins on those hot dog eating contests? It’s always some rail thin Asian person…not really sure how that works…But needless to say, I was always unsuccessful at losing weight and every time I did lose 20-30 pounds, I would end up gaining 60 back! When I lost weight, I thought I was done and went back to old habits. Here’s the cycle: Lose the weight, gain the weight, depression, numb depression with food, gain more weight, find the newest quick fix fad diet, AND repeat! I’ve since learned that it is in fact, a lifestyle change. I often get asked, “What made you decide to apply for the show? Did you have an a-ha moment?” Not really. I was just unhappy; and in my 20s when I should be having the time of my life, I wasn’t. My weight held me back in every way and my lack of confidence was directly tied to my weight. I wanted desperately to finally be successful at what I felt was my biggest struggle and challenge in life. I knew that being on the Biggest Loser was my best chance at success. But even then, I thought it was a long shot and put off applying. I think I was mostly ashamed of myself and what I had become. I was also unwilling (at the time) to put myself out there for my friends and family to see my big, fat tire hang out between my sports bra and spandex shorts! For those who have seen the show, you know what I’m talking about; it’s a Biggest Loser wardrobe staple. A couple years went by and I was still in the same place and I thought, why not give it a shot and apply- not thinking anything would come of it. I figured if the trade off for being thin was to let America see every unflattering angle of me- tears and all, then that’s what I’m going to do. Obviously, what I was doing wasn’t working so maybe it was time to be honest with myself. And for the first time, I let my guard down because I had to enlist the help of my friends to film an audition video. In the video I admitted to being embarrassed and unhappy. 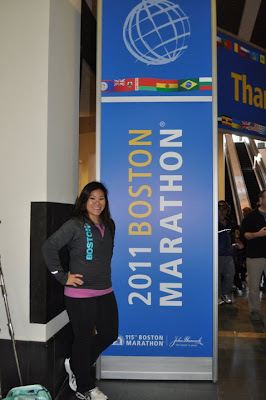 The hardest part was watching and re-watching clips of myself- over and over again as I was piecing together the video. That forced me to face the root of the issue. At that moment, I made a promise to myself that no matter what happens, I’m going to take the necessary steps to create a better life. And fortunately, those steps included the Biggest Loser. Losing the weight was awesome but finally finding that inner confidence was incredible. I found this determination in myself that I didn’t know existed, and I now it make it a point to always push myself beyond what I think my limits are. I go for things that scare me because when I do, I find that great things can come of it. And I believe the best is yet to come! But for now, my love for marathons has expanded to triathlons. These days my workout schedule is filled with high intensity interval classes and Ironman trainings! You can read more about Ada on her website, which she says will soon be more of a blog-type format. You can also check her out on Facebook and Twitter. love her!!!! she is also my favorite BL contestant ever. I have friends who work on the show and can attest to what a sincere person she is!!!! I absolutely loved Ada and her gesture of giving the car she earned to someone else made me wish all people on shows like that were as genuine. So glad to see she's keeping up her well earned new lifestyle. She looks amazing! Same here - she was our favorite too!! My question: I know you guys (on the show) counted calories. Did you also count your carbs, protein and fat individually (meaning, how much of each did you eat a day)? How about now - what are your meals like? Also, did you find yourself gaining weight after the show? Thanks Ada & good luck on all future endeavors - I'm sure we've not seen the last of you!!! Ada - I really loved seeing you on the BL, and you were such an inspiration to me. Congrats on all of your amazing success on the show and after!! I'm rewatching your season on Netflix in my down time and on cardio equipment (my gym has wifi)! What was the hardest thing about being in the BL house? What was the easiest? What is Bob Harper like in person? I'm dying to know!! Can't wait to meet you Ada! You were an awesome athlete on the show and you have continued to push forward and challenge yourself to achieve even more. I love it! You're one contestant that I actually remember and really enjoyed watching! Like Katie, I loved Ada too, and she endeared me even more when she let Patrick win that car. Amazing! I read the story that was in Hyphen magazine--very enlightening! I'm sure her family was portrayed even worse than the real situation was for the drama of the show, but am glad to hear their relationship has improved. I would like to ask Ada about a typical day at the BL Ranch. What time do you get up in the morning, to what time do you go to bed at night. How much time is spent exercising in an organized/required setting and how much time do you have to do your own thing? And I am interested in how you eat there. Do you purchase the food yourself, or is the kitchen stocked already? It appears that you prepare your own food, but it's never clear who decides what to make, and if you eat together or separately. As an Asian American woman, I totally understand the incredible pressure of being skinny...not just thin, but *really* skinny. Major props for being so tough and for focusing more on fitness than emaciation. Totally inspiring. Great story, thank you for sharing it!! Go Ada! Yes, you were a memorable contestant, and I remember how you and Bob seem to have bonded that season. Love Bob! My question is about the time frame between episodes. I've heard that a "week" really isn't 7 days for the contestants. What is the time frame? I can't imagine losing 13lbs in a week! Katie, I'm soooo glad you chose to use your blog as a way to introduce us to your Relay team. It's been amazing to get to know everyone, even if only briefly. Ada's so inspiring, just like everyone else on your team. I love that your entire team is comprised of people who but their blood, sweat and tears into their health, weight loss and changing their lives. Oh wow, how INSPIRING is she??! Thanks for sharing her story. Like Bridgette said above, I think it is so wonderful that you've introduced us to your team through your blog. What a truly motivating group (including you!). Ada - if you're reading this - I did an IronMan myself and let me tell you, if I can do it, ANYONE can! Go, girl!